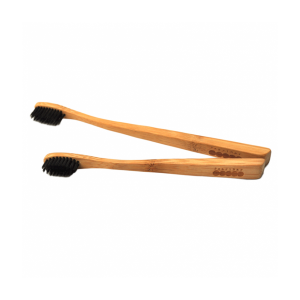 Shop for Toothbrushes including 100% Biodegradable options from a variety of different brands. Greener Beauty is always vegan, always cruelty free, only ever ethical brands and always toxic chemical free. 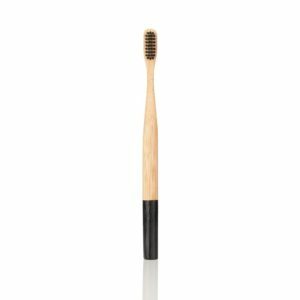 Georganics Soft Charcoal Bristles Bamboo Toothbrush is an eco-friendly toothbrush is made from 100% biodegradable bamboo, that provides a naturally non-slip surface. 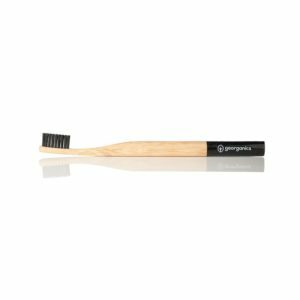 The charcoal infused bristles are soft and effective, ideal to use with our Activated Charcoal range. Replace your toothbrush around every 3 months.